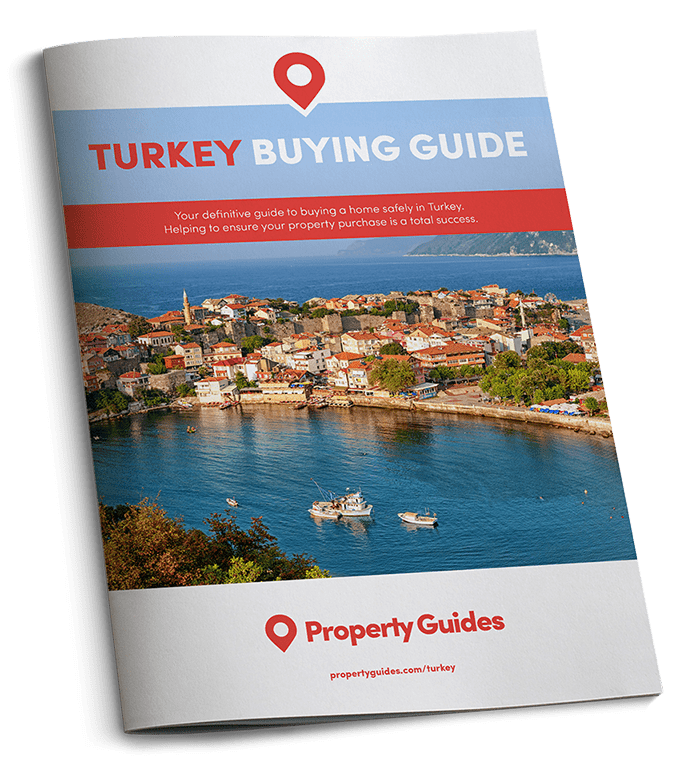 If you’re thinking of property buying on the west coast of Turkey, then Marmaris and Fethiye are definitely worth taking a closer look. Some of the best scenery, culture and holiday activities are on offer as you travel south from the bright lights of Bodrum. Here we give you a quick guide to what’s hot on the west coast. 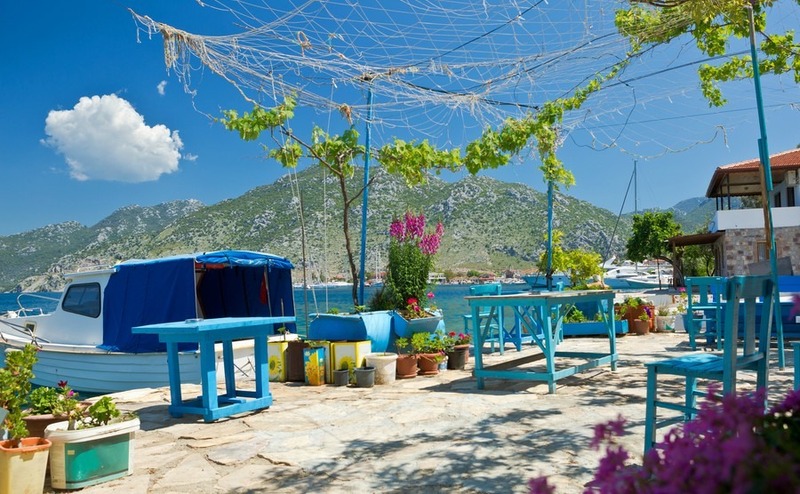 Datca is a quiet area which has become increasingly popular with Europeans. Where the Aegean meets the Mediterranean, Datca, just above Marmaris, is a quiet area which has become increasingly popular with Europeans looking for a haven of peace and tranquillity. A port town, it is situated on a narrow peninsula by the ancient Greek ruins at Knidos, a trading hub during Roman and Byzantine times. The site includes an amphitheatre, a temple to the goddess Aphrodite and a 4th-century BC sundial. A popular spot with Turkish families, the port is a bustling “blue cruise” resort where gulets and mega-yachts stop off on their summer-long sojourns. For those looking for more of a bustling holiday centre, then Marmaris has it all. A long-time favourite for British holidaymakers and expats, it thrives as a resort hotspot from May to late October. There are numerous apartment options for anyone seeking inexpensive housing, days at the beach and a bustling nightlife. However, as year-round expats will attest, there are quieter areas of Marmaris too. The old port and beaches are a safe and friendly area for both families and retirees to live and prosper. Wherever you wish to live in Turkey, knowing how to negotiate for your property should get you a little more house for your money! Download our guide: How to Negotiate Abroad. Just eight kilometres from Marmaris is Icmeler, a quiet tourist resort that is most noted for its pine forests, fresh air and lovely beaches. Trekking, water sports and scuba diving are big hits. As with any resort, it gets livelier in the summer with busy restaurants and bars, but not on the scale of its bigger cousin just down the road. One of the most sought-after expat hotspots on the Mediterranean Turquoise coast, Fethiye is famous for its lovely harbour. From your yacht you’ll enjoy the best of the coast, then hop off to visit the rock tombs of Amyntas and the beginning of the trekkers’ Lycian Way. Surrounded by forests, it is still a small town with a big heart that offers a fantastic choice of affordable property. Suburbs to the north, include Calis, where the expats tend to settle and then head into Fethiye for their daily needs. 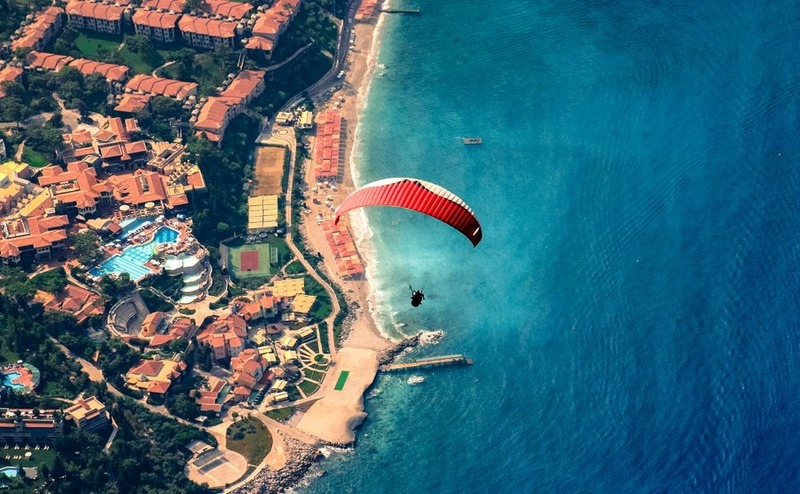 Further south is the iconic beach at Ölüdeniz, where paragliders drop in over Babadag Mountain and land on its beaches. For expats, there is a host of properties and locations to match every possible budget.